Posted by Teresa Mihelic HelpDesk on Saturday, April 21st, 2012 at 8:19pm. As of earlier this week, the Federal Housing Finance Agency laid out new rules that will help speed up the short sale process, a move that could keep many homes from falling into foreclosure, and less hiccups for those involved in a real estate transaction that includes a short sale. Those are great news for buyers and realtors, as short sale homes transactions in in Orange County account for a large number of the overall transactions and according to the National Association of Realtors, 60% of them didn't close last year and ended up in a foreclosure. Short sales are homes that are sold for less than is owed to the lender, and the lenders involved have to approve the sales prices and other conditions involved in the sale, making the process very lengthy as banks often take too long to provide responses. To help avoid the trend from continuing, the Federal Housing Finance Agency, which oversees Fannie Mae and Freddie Mac, laid out rules that will require lenders to review and respond to short sale requests within 30 days and make a final decision within 60 days. The lender is also required to provide weekly status updates to the borrower if the offer is still under review after 30 days. For Buyers: less time waiting for a response from the bank, and the possibility of getting the homes in better condition, typically because the sellers have been living there and keeping the homes in good condition. For Sellers: a short sale is better than a foreclosure on the credit rating, so that's beneficial. 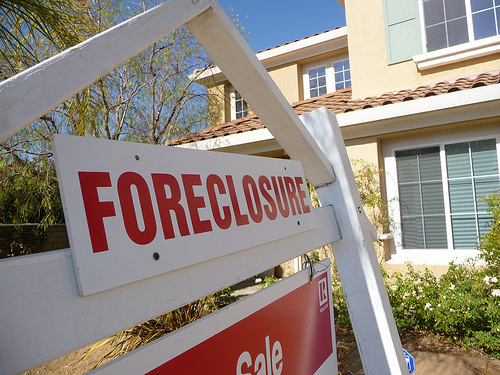 For the Lenders: foreclosures pile up higher expenses with lenders paying for property taxes, heating and maintenance costs. Typically the home will also be in better condition, as someone who knows that is about to loose the home due to foreclosure, won't take care of the home, as opposed to the short sale where banks give credits to those leaving the homes in good condition. For the Realtors: a much better scenario, as short sales right now remain a significant challenge for realtors and consumers and often results in canceled contracts and the property going into foreclosure.